Headquartered in the North suburbs of Chicago, the Beyond the Limits Cleaning and Maintenance Company is one of Chicago’s highest rated commercial cleaning service providers. Established in 1991 as a co-partner servicing provider for Central DuPage Medical Group, Glen Ellyn Clinics S.C., and Edward Hospital, we have grown to serve over 50 diverse and prestigious Chicago area companies. Currently, we are one of the fastest growing janitorial service providers in the Chicago metro area, and for good reason: we take pride in our work, and our clients recognize this. Dedication to our clients and attention to detail has allowed us to expand our cleaning coverage area, as well as grow in every industry we serve. 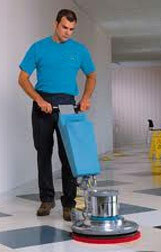 With nearly 25 years of commercial janitorial experience, we have serviced clients large and small. However, for our cleaning company to be truly successful, your janitorial needs, schedules, and budget constraints have to be met. Therefore, every Chicago-based commercial cleaning client we service receives a tailored package designed to meet their exact needs. As needed, those services are reviewed and adjusted over time as changes to the facility dictate. 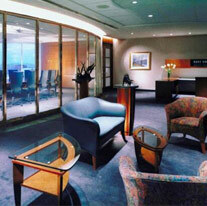 Our company has used several janitorial companies. Then searching high and low we found Beyond the Limits. I am very pleased to say I have finally found a janitorial service that actually cares! Beyond the Limits specializes on the fine details. Our office not only looks sparkling but smells great. The entire crew always does a phenomenal job. The people are dependable and extremely friendly. Ivanna & Mark are a delight to work with, Thank you. All for the hard work. We love coming into a clean office. A reliable and dependable cleaning company. 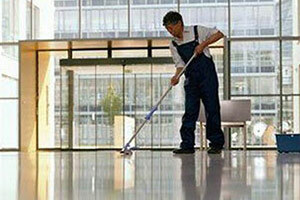 Very efficient and thorough and takes pride in their cleaning and always makes sure that your company needs are met. Thank You for Everything! SO HOW EXACTLY ARE WE UNIQUE? As expected, all estimates are free and every proposal is customized to every client’s exact needs. As a way of expressing our appreciation, our clients receive extra care with their contracts, free of charge. Services such as interior window washing, machine floor tile scrubbing, blinds cleaning, or spot carpet cleaning. Whatever it takes (within reason) to make it right and keep it right. Beyond the Limits truly stands behind its name and provides its clients with a wide variety of janitorial options and packages; ensuring their 100% satisfaction with every cleaning service we provide. We pride ourselves in quality service, commitment and leadership in innovation and “green cleaning” as well as an exceptionally high customer retention rate. Our employees are trustworthy, professionally trained, and have the experience and desire to provide the highest quality service possible. Our approach is simple: Service every customer’s facility as if it were your own home, and provide “hospital clean” quality service with enthusiasm. That’s what you can expect from Beyond the Limits. Even with our exceptional service, we typically will beat other cleaning service quotes 8 out of 10 times.